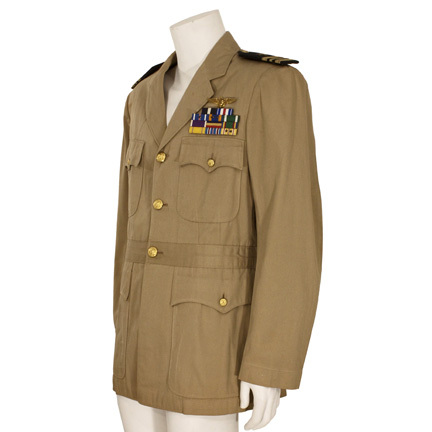 This khaki U.S. Navy Officer’s tunic was worn by the character “Andy Crewson” portrayed by film legend Cary Grant in the 1957 motion picture “Kiss Them For Me” starring Jayne Mansfield and Suzy Parker. 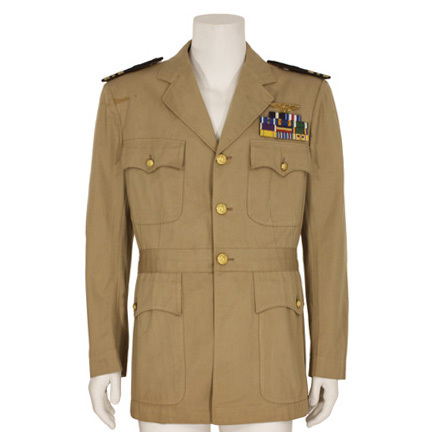 The tunic has flap pockets at the breast and hips and brass military issue buttons. 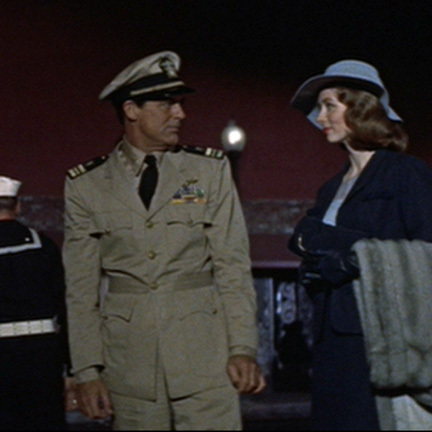 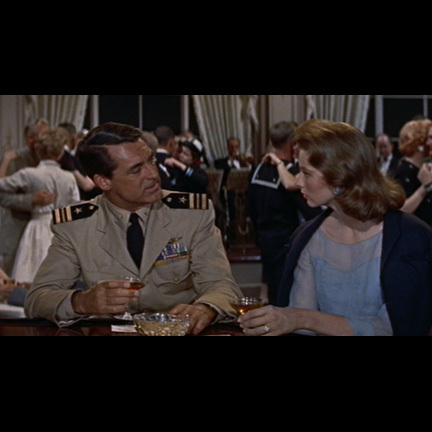 The jacket first appears onscreen near the beginning of the film when Crewson and two of his comrades assemble at their barracks in Honolulu and get ready to depart for some much needed shore leave in San Francisco. 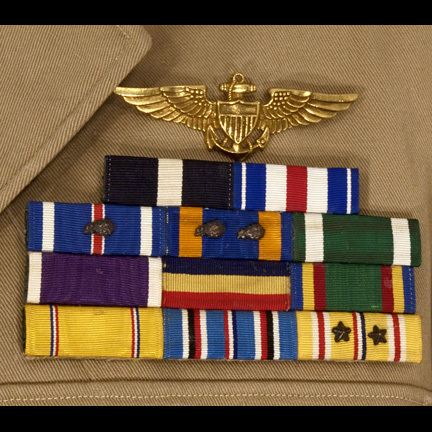 Crewson grabs this officer’s jacket off the clothes rack in the barracks and tucks it under his arm on the way out. 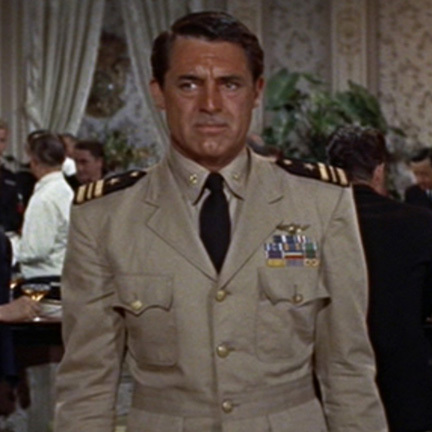 Grant wears this garment in multiple other key scenes throughout the film as he and his friends go on a series of misadventures while on leave. 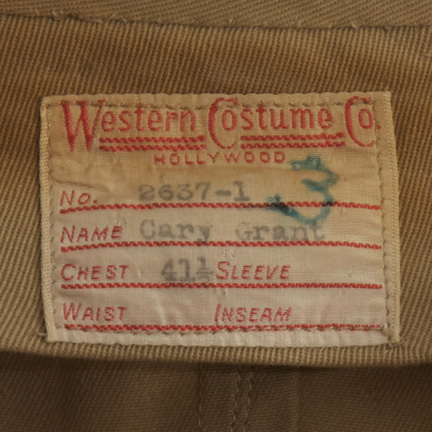 The jacket is in good condition with some minor discoloration near the right shoulder (see image) and the interior has the original Western Costume Company label sewn inside with the name “Cary Grant” clearly typed. 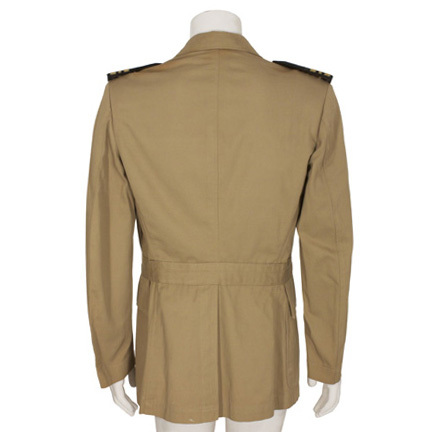 The interior lining also has the official “Western Costume Co., Hollywood, Calif.” logo stamped inside. 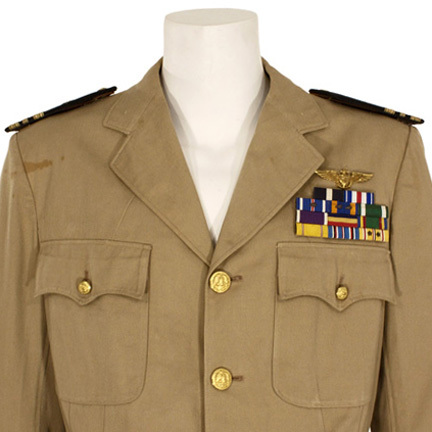 The original insignia and shoulder boards were removed for use on a later production but have been professionally restored with an identical set by Eastern Costume Company’s wardrobe specialists to match the jacket’s onscreen appearance.